Mobile computing is at a cross-roads right now and is, again, on the cusp of another evolution. Dell is going private, and HP stock is down by double digits. With smart phones, tablets, and PC hybrids, something’s got to give. If you’re using a touch screen smart phone for public safety, all is well until you start exposing it to real emergency situations, including extreme climate, rapid inputs that jam up the operating system, and constant reboots and updates. None of these are perfect scenarios when lives are on the line. Not to mention, it is often difficult, in a lab, to simulate high stress conditions and the human behavioral interaction with the device under stress. You probably know what I mean. Think about your operating system not responding on your smart phone when you keep punching the icon again and again only to throw your phone into a tizzy and then have to hit the “power off”.Forget the touch screen. Enter next generation wearable computing. Thalmic Labs has come out with a gesture controlled armband which can read muscle impulses and recognize common arm and hand gestures. 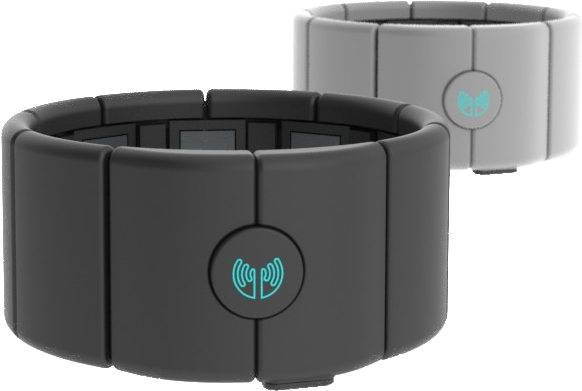 Myo is Thalmic Labs’ armband, which can, via Bluetooth, connect user devices and use gestures to interact with the computing device. A gesture algorithm was created by Thalmic through integrating common nervous system reactions in the arm and hand muscles and developing an algorithm of computer instruction. As smart phones and tablets get lost in the shuffle, computing will become more integrated with the human as wearable devices interacting with micro computing devices begin to get traction.